April 23, 2015— The Oregon Coast Science, Technology, Engineering, and Mathematics (STEM) Hub, in conjunction with the Marine Advanced Technology Education (MATE) Center, has issued an icy challenge to Oregon students. On Saturday, April 25th, 38 teams of elementary, middle school, high school, and college students from across Oregon will compete in an underwater robotics competition in North Bend, Oregon that focuses on the use of these vehicles in scientific research and the offshore oil industry in the Arctic Ocean. An annual event, the Oregon Regional MATE ROV Competition encourages students to learn and apply science, technology, engineering, and math skills as they develop underwater robots – also known as remotely operated vehicles or ROVs – to complete missions that simulate real-world problems from the ocean workplace. Established 4 years ago, the Oregon Regional MATE ROV Competition continues to expand in both team numbers and geographic area from which teams hail, with teams traveling from as far as Klamath Falls and Astoria to attend. The competition theme changes every year. This year’s contest highlights the role of ROVs in scientific research and the offshore oil industry in the extreme environment of the Arctic. Like scientists who work in polar conditions, students will pilot their ROVs under a simulated ice sheet where they will count and sample organisms, deploy scientific instruments, and collect iceberg data. They will also pilot their ROVs to complete tasks from the offshore oil industry, including inspecting pipelines and testing deep-sea oilfield equipment. In addition to their ROV missions, student teams must also create a poster and be interviewed by engineering judges. The competition promotes the development of entrepreneurship and leadership skills by requiring students to organize themselves into a company structure with each student taking on a specific role. 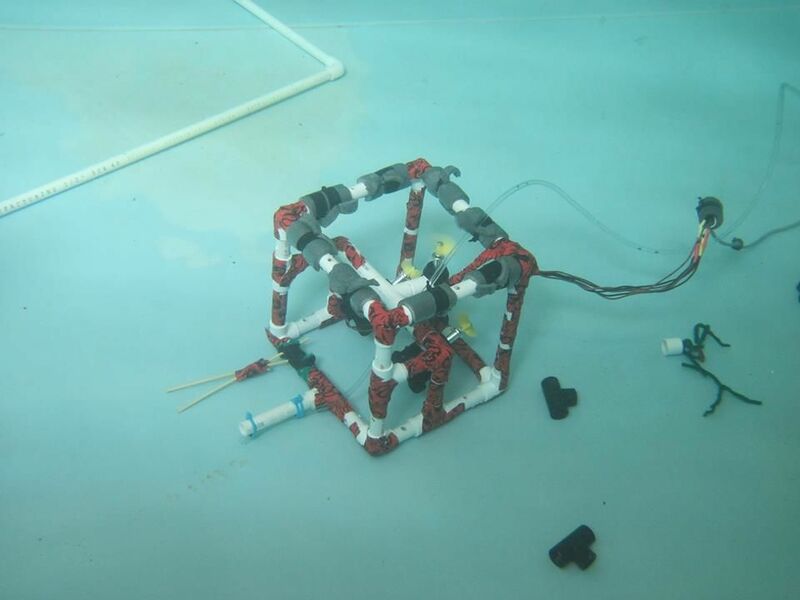 It transports students from the classroom into the business world, where the student-run, simulated companies design, manufacture, and market their student-built underwater robots. The process requires students to manage a project and budget, brainstorm innovative solutions, and work as a team – all important 21st century workforce skills. The Oregon Regional MATE ROV Competition is supported by numerous partners and over 50 volunteers, who serve as divers, judges and support staff. This year’s competition is sponsored by the Oregon Coast STEM Hub, which is a collaboration of over 50 coastal partners focused on providing world-class STEM opportunities for coastal teachers and their students. Additional support comes from the MATE Center, the Marine Technology Society, the Association for Unmanned Vehicle Systems International (AUVSI), Oregon Sea Grant, the Sexton Corporation, Oregon State University, the Oregon Institute of Marine Biology, and the Oregon Coast Aquarium. The Oregon Regional Competition is one of 24 regional contests held around the world whose efforts are coordinated by the MATE Center. Top teams from the upper level divisions will earn the opportunity to compete in MATE’s 14th annual international ROV competition, which will be held June 25-27, 2015 at the Marine Institute of Memorial University, St. John’s, Newfoundland and Labrador, Canada. The public is invited to attend the competition and cheer for their local teams. 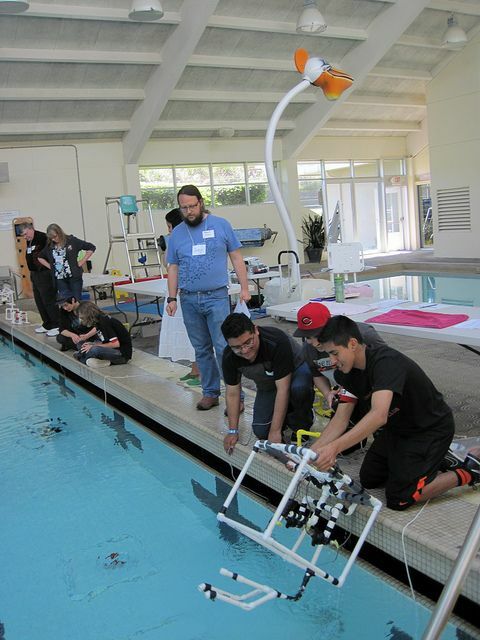 The Oregon Regional MATE ROV Competition will be held from 8:30 am to 4:30 pm on Saturday, April 25th at the North Bend Community Pool and North Bend High School. For more information, please contact the Oregon Coast STEM Hub at OregonCoastSTEM@oregonstate.edu.